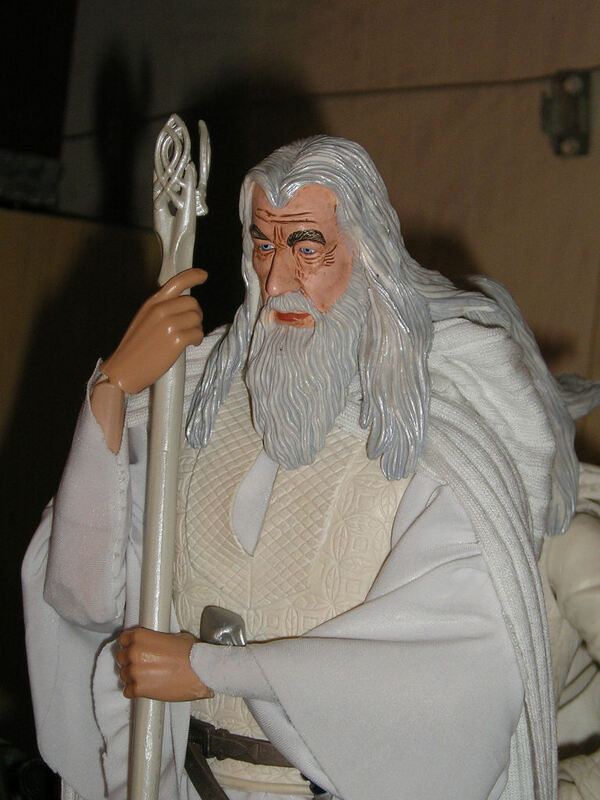 The figure is made from head of the 11" rotocast Gandalf the White, on a very old Sideshow "Spinal Tap" body (David St. Hubbins, Why?) with the hands of an old BBI Asian Body Builder. 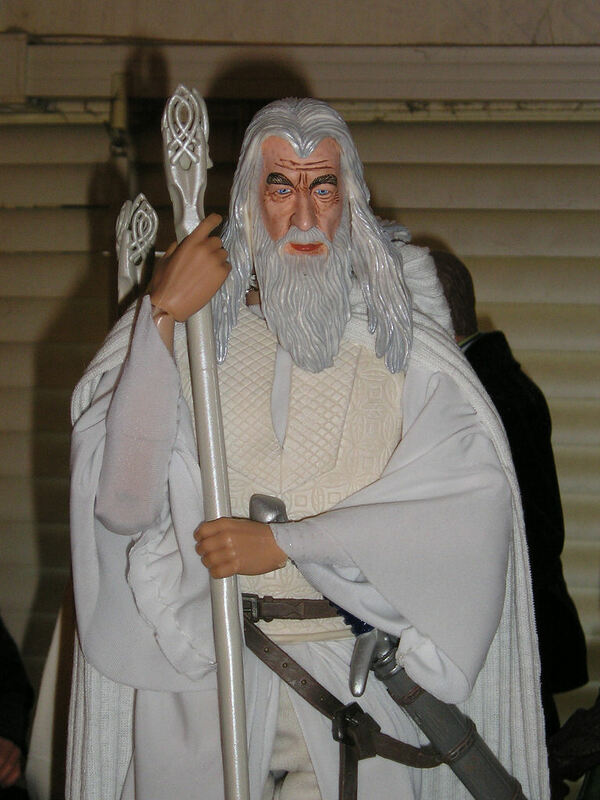 The vest, belt, staff, and sword are from the 11" rotocast Gandalf the White. The boots are Van Helsing's painted "Dolphin Gray." 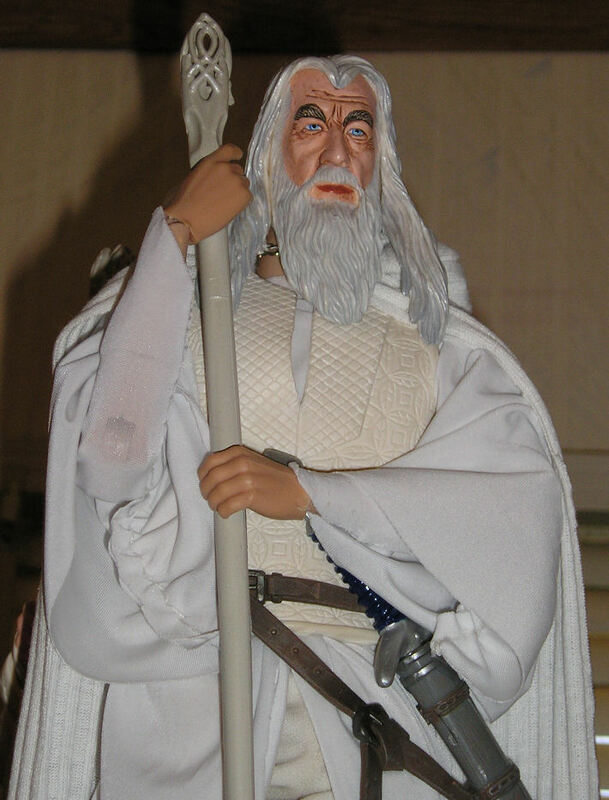 The pants are from some Jedi or another. 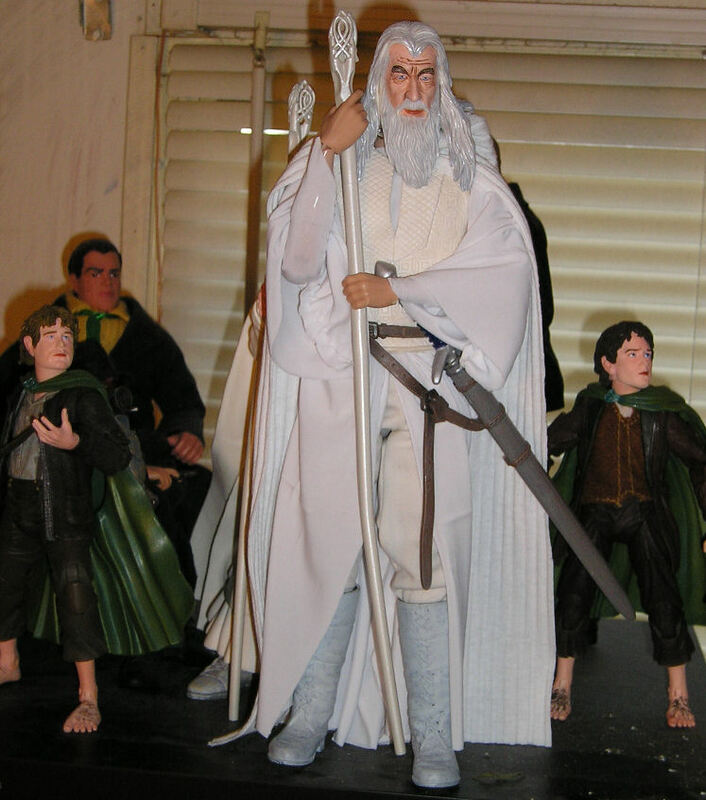 The shirt, robe, and cloak are custom-made: shirt and robe of white swimsuit lycra, cloak of some othe white material.